No glue required! Matching display stand included. 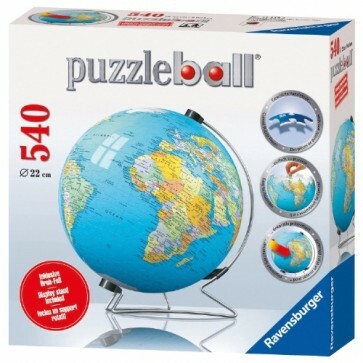 This 540pc Puzzleball provides an extra challenge for experienced 3D puzzlers and is suitable for teenagers and adults. The strong curve shaped plastic pieces fit together perfectly to form a spherical shaped puzzle. 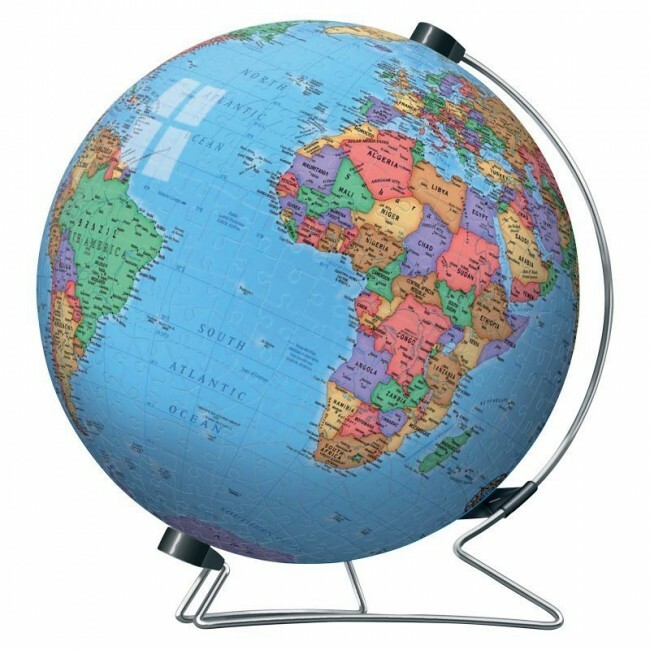 Piece together a perfect sphere of the world using 540 precision pieces and marvel at your creation. Showcase your world using the stand provided. Puzzleball® - it's the ultimate 3D jigsaw puzzle! These puzzles can be completed in the usual way by looking at the picture or, as each piece is numbered on the back, you can also follow the numbers for those more challenging areas! Puzzleballs can also be taken apart and completed again and again.